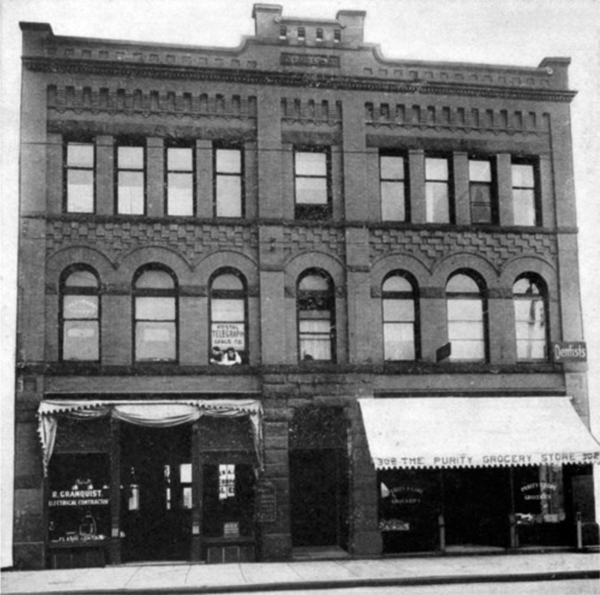 Manufacturer’s Bank was the first banking house established in the new Village of West Duluth in 1888. 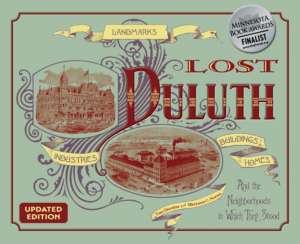 Unfortunately, unlike other Duluth banks, it did not successfully ride out the financial panic of 1893 and it failed in 1896. The three-story brick building had a stone entrance, decorative brick trim, arched windows on the second floor, and a brick cornice. After the bank failed, the building was renamed the Woodward Building and the second and third floors were converted into apartments. The first floor at various times housed a real estate office, department store, grocery, and a pharmacy. By 1976 the building sat vacant; a year later it was condemned and demolished to make room for a parking lot.